Sometimes I feel as though the world is divided. Some people like iOS, some people like Android. Some prefer Windows Phone, and some use Blackberry. For some reason, the mobile OS we choose sort of became what defines us. If you think about it, I’m sure you have some sort of opinion of iOS users that’s pretty different than what you think of Android users. And if you have a favorite OS, you simply can’t understand why anyone would choose otherwise. I hereby declare war on this fragmentation! Why can’t we all just get along? Luckily, Android is one mobile OS which can help us do this, with its infinite number of launchers and themes. Today I’m going to help you be politically correct: you’re going to disguise your Android device and turn it into an iOS device, a Windows Phone device, a Blackberry, and some other cool operating systems. It’s really easy, it can look pretty good, and most of all, it’ll be fun to see your friends’ reactions. Just be careful, I know some people who may take such games to heart! If you fancy the iOS look, at least when it comes to icons, folders, the App Switcher tray and search, Espier Launcher is your best bet. Everything but the home screen remains completely Android, naturally, but you can definitely confuse your friends with the iOS look you get with this Launcher. You can create folders exactly as you would on iOS, and Espier even comes with its own App Switcher tray, which looks exactly like iOS. It changes every icon possible to something more iOS-ish, and automatically places the iOS Setting icon on your home screen, which actually leads to your phone’s settings. If you’re using Android 2.1, download Espier Launcher 2.1. For Android 2.2 and up, download the regular version. Bottom line: Best of both worlds. Fake iPhone 5 and its older sibling Fake iPhone 4S (Android 2.0+) are not as feature-rich as Espier, but when it comes to looks, you won’t get much closer to iOS than this. As opposed to Espier, this launcher automatically changes your wallpaper (you can change it back if you wish), and places every possible icon from iOS 6 on your homescreen. Fortunately, Maps still leads to Google Maps, but beware of icons like “Passbook”, which are nothing but a prompt to download another app. You can’t create folders with Fake iPhone 5, nor is there an App Switcher tray. Bottom line: Lacks Espier’s features, but makes up for it in looks. Great if you’re main goal is to confuse your friends. Don’t care for iOS? Why not turn your Android into a Windows Phone 7? Yes, I know Windows Phone 8 is freshly out, but let’s face it, this isn’t Windows Phone anyway, so 7 will do. 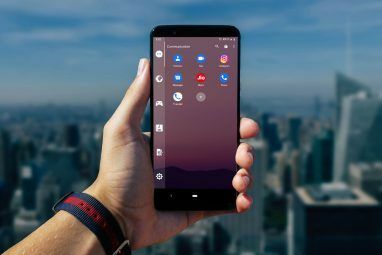 Jokes aside, Launcher 7 is a slick and versatile launcher that will make your phone look exactly like a Windows Phone. At least at first glance. When you first launch the app, you’ll get a chance to choose your main tiles. You can always add or remove tiles later on, and even change their size and color. The navigation is entirely Windows Phone 7 as well, although the ads do give away the game. If you want to get rid of them, $1.99 will do the trick. Bottom line: A lovely option for Windows Phone lovers who just happen to own an Android. I must admit, I never really used a Blackberry before. This Blackberry theme might be the closest I’ll ever get, but I must say, it’s not half bad. As you’ve probably gathered from the name, this is not a standalone launcher, but a Go Launcher EX theme. In order to use it, you’ll have to first install Go Launcher, then download the Blackberry theme, and last, choose the theme from Go Launcher’s settings. The Blackberry theme does an all-around icon change, turning them Blackberry style, and replaces the wallpaper with something more Blackberry-appropriate. Normally, I use Go Launcher’s default theme, and the Google Play Store icon sits smack in the middle of my bottom icon row. The theme had a solution for every other icon, but left the Play Store one intact, which created an amusing effect. You can easily change this icon to one of the native ones, though. Bottom line: If you like the style, you don’t have to like Blackberry. Yes, you read right. Windows 7, without the Phone. Granted, you have slim chances of fooling anyone into believing your device is actually running Windows 7, but it’s still a cute theme for Windows lovers, and could make a funny prank which will last about 2 seconds. As with the Blackberry theme above, this too is a Go Launcher theme, and you will have to install it first before applying this theme. Once you do, the main changes you’ll see will be to some of the icons and wallpaper (the theme comes with quite a few Windows 7 wallpapers). Here, too, my middle Play Store icon was ignored, and I had to change it manually to the Windows one. Bottom line: Not the prettiest, but definitely amusing. If, like me, you actually like your Android device as it is, but fervently wish you could upgrade to Jellybean or even Ice Cream Sandwich, you’re going to enjoy Holo Launcher. Holo Launcher is pretty much a replica of the ICS/Jellybean homescreen, complete with all the icons and some of the widgets. I was hoping to get the colorful ICS wallpaper as well, but the launcher just used whatever I had set at the moment, and the default ICS wallpaper wasn’t available anywhere. Having said that, Holo Launcher is highly customizable, and can give your older device a brand new look, without sacrificing the Android appearance. 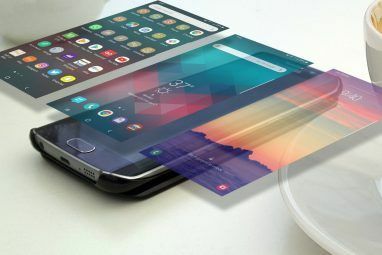 If you want to take it even further than the homescreen, read about getting more Jellybean features on your phone Jellybean Not Available For Your Phone? Get Its Best Features With These Apps [Android] Jellybean Not Available For Your Phone? 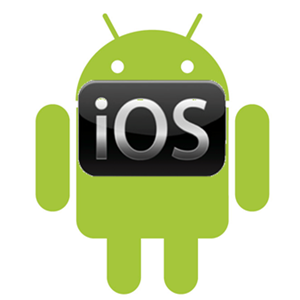 Get Its Best Features With These Apps [Android] Not all too long ago, Google released Android 4.1, named Jelly Bean. With it comes a lot of features, which you can look at in better detail by checking out this article. While it's fantastic... Read More . Bottom line: If you go with the Holo Launcher + Holo Locker combo, you’ll never look back. Changing my phone’s appearance in this manner was probably the most fun I had all week. At the end of the day, I will probably go back to good old Go Launcher with its boring default theme, but that doesn’t mean you have to! Are you going to try some of these yourself? 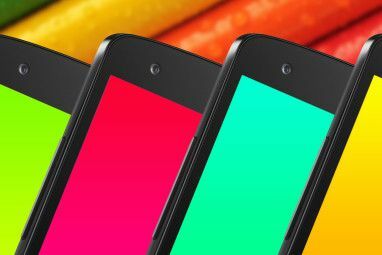 Know of some other launchers and themes that can turn Android into something else? Tell us everything in the comments. Explore more about: Android Launcher, Android Theme. Shows the versatility of open source. Options are good to have. I might do the windows 7 thing use to yank by buddies chain, he hates Microsoft, but the most fun you've had all week? Must have had a boring week. turning android into any other ..!! Oh, WOW!!! I already use the Espire Launcher alongwith the iPhone Waterdrop live wallpaper to give a iOS look and fell to my Sammy ICS phone. Also I already use the Launcher7 to give a Windows 7 Phone look and feel. Great to see these two launcers featuring in the article. However, now would also try the Holo launcher. :) Thanks Yaara for the article. hahaha.. I think Apple is gonna make a lawsuit againsts the top two..
"Turn Your Android Into An iPhone, Blackberry, Windows Phone & Others"
Exactly my thoughts as well. If I wanted an iPhone then why would I buy an Android? to get rid of Itunes and still believe in iphone. Agreed. Because you can. The best part of Android is freedom, I don't always enjoy looking at the same screen over and over, granted I wont turn it into an iPhone layout, but I always liked the metro UI. Thanks for the article. Yaara (@ylancet) is a freelance writer, tech blogger and chocolate lover, who's also a biologist and a full-time geek. Which Android Launcher Should You Use? We Compare the Best!